Pedestrian Parking Lot Accidents in Florida Why do pedestrian parking lot accidents happen frequently? It's usually a combination of a lot of things and it's not always the drivers fault. Driving and walking in a parking lot is almost an everyday occurrence for most of us. Safety measures for both drivers and pedestrians are normally taken for granted in such areas. Even though drivers are traveling at such low speeds, pedestrian parking lot accidents are very likely and can lead to serious injuries and sometimes death. Driver distractions like cell phone use, playing with the radio, etc. Pedestrians distractions like cell phone use, mothers and fathers tending to their children, talking to another pedestrian, etc. Even though vehicles in parking lots are usually traveling at lower speeds than on the road, serious injuries to pedestrians can still occur when struck by a car. If struck, the pedestrian could fall down and hit their head, causing a serious head injury. Some other common injuries that can occur are fractures of the pelvis, arms and legs as well as neck injuries. Internal injuries and minor contusions and abrasions can also occur. 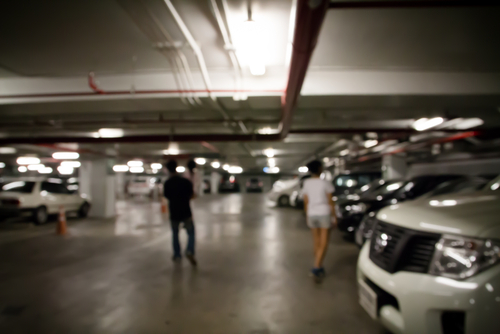 If both drivers and pedestrians took the right precautions while walking or driving in parking lots, accidents could be prevented. However, if a parking lot accident does occur a pedestrian may recover damages for the injuries suffered if the driver’s negligence caused the incident. Have You Been Injured In A Pedestrian Accident? If you've been hurt in a pedestrian accident you should speak with an experienced personal injury attorney as soon as possible. Contact us online or call our office directly at 727.446.0840 to schedule your free consultation.